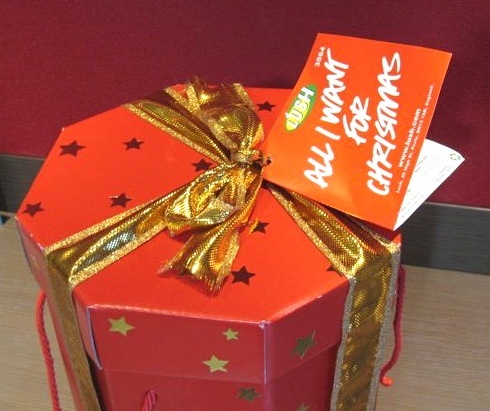 There's nothing quite as special as receiving one of Lush's glorious holiday hat boxes as an early birthday present from my husband, who gifted me with my very first one back in 2009. Aptly named "All I Want For Christmas", this hat box contains 25 limited edition products, which is almost all of the holiday collection except for Buche de Noel, Snow Fairy Lip Tint and Celebrate Lip Tint. 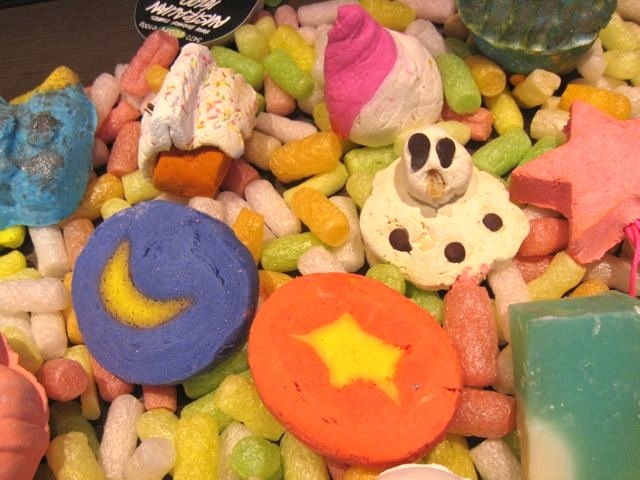 It is simply the best way to experience Lush's holiday collection. 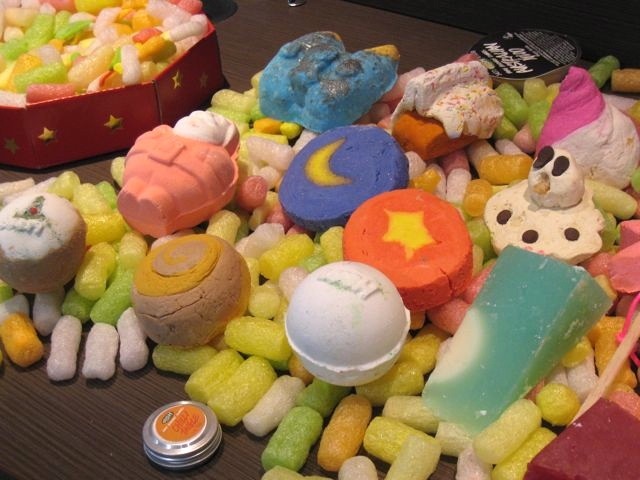 The products are nestled amidst a veritable rainbow of packing peanuts. Most of the products are not wrapped or sealed, so it can get quite messy as the loose powder from the bath ballistics tends to get on the other products. I always pop them immediately into ziplock bags, for easier storage. Lush's famous bath ballistics and bath melts are a wonderful treat for the skin as they contains lots of moisturising essential oils. 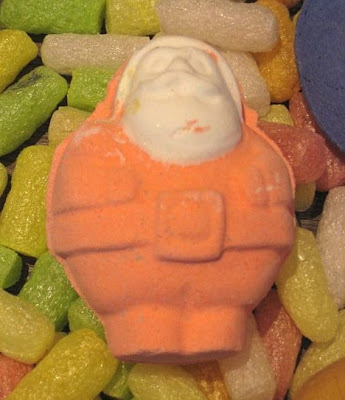 I was delighted to see the jolly Satsumo Santa make a re-appearance this year, alongside new inventions like the Rocketeer bath ballistic. 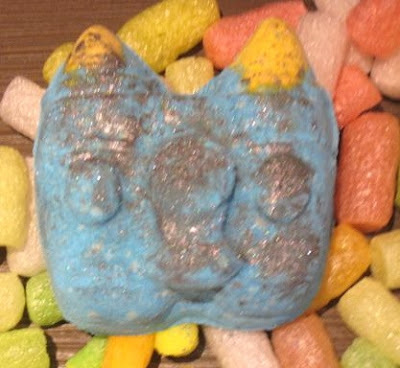 The candy-scented Rocketeer's jet packs produce a fizzing slip stream of yellow and after the blue rocket "burns up", it leaves a sprinkling of shiny silver lustre in the green bathwater. 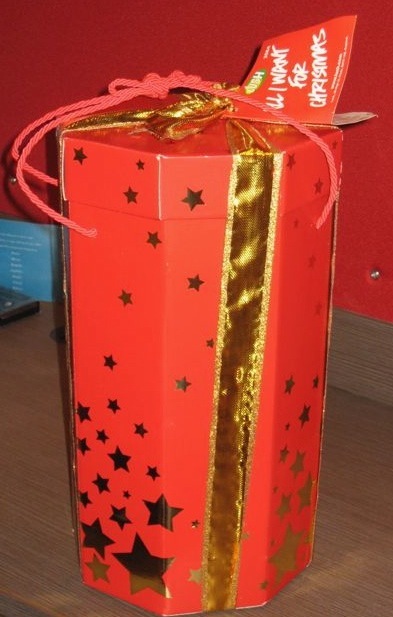 I'm also looking forward to trying Golden Wonder (shaped like a ribbon-wrapped gift box) as this Champagne Snow Showers-scented ballistic supposedly turns from gold to yellow and then blue while emitting soluble stars along the way. Next to Golden Wonder is Cinders, another ballistic that contains popping candy to mimic the crackling sound of wood in a fireplace. 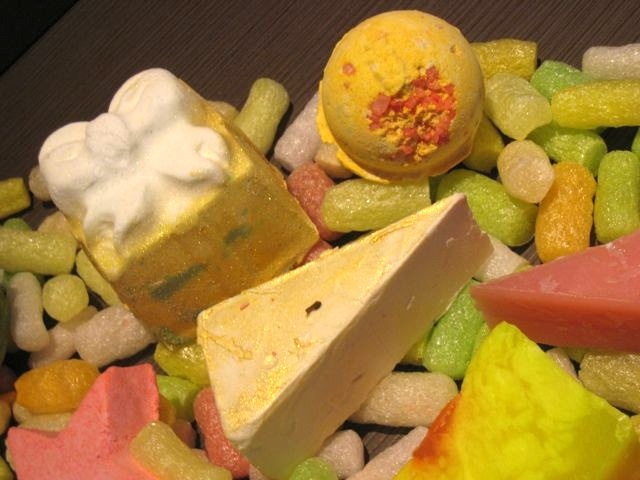 It is scented with almond essential oil, sweet orange oil and cinnamon leaf oil for slight spiceiness. And naturally, it would not be a Lush Christmas without the marizpan and fruit-scented Snowcake soap and Snow Fairy shower gel, which has an aroma of candy floss and pear drops. Also included in the hat box are the Glögg shower gel, Jilted Elf shower jelly and Pow Wow lip scrub. Pow Wow contains popping candy, organic jojoba oil, rose hip oil, argan oil and goji berry powder. 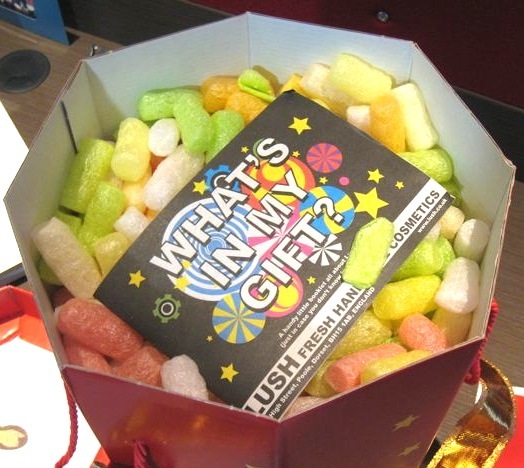 Your so lucky that's the best present ever! what a awesome hubby! Lucky girl! Everything looks so cute! Awww! Hubs is so sweet (and close to all those LUSH stores!). I particularly love Snow Fairy! Lovely! 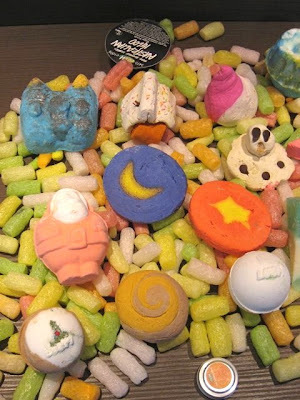 I ordered from Halloween and Xmas stuff from LUSH UK. Can't wait to receive them in the mail!